When one enters the dojo, whether as a member, an employee, or a spectator, there are certain protocols to follow and practices to observe. 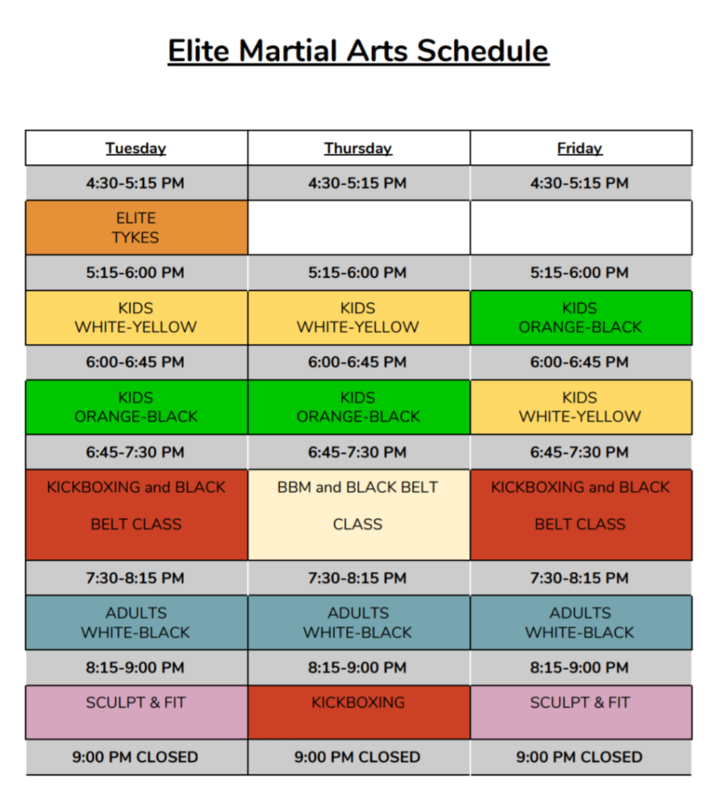 Elite Martial Arts & Fitness isn’t just a place to exercise. It is a place of learning and growing. Yes, we are here to get fit, but we are also here to learn the forms of martial arts. We are also hoping to grow as an individual by gaining wisdom and virtue. This is just good sense (not just because we will be met by the wrath of Sensei Marie). Very much a Japanese practice, taking one’s shoes off is a sign of respect when entering someone’s home. It isn’t just to eliminate mess, but it also symbolizes ‘leaving your troubles at the door’. When we enter the dojo, we are coming to learn with an open mind, leaving behind the baggage and problems of the day. No matter how many times we enter or exit the dojo it is imperative that we bow towards the shomen wall. We must learn to appreciate the reason for the bow. There is more to just bowing physically. Students must understand the respect, appreciation, and gratitude felt in every bow. In bowing we are acknowledging the past, present, and future of karate. We are also expressing gratitude of everything the dojo has to offer. Perform the bow with the utmost courtesy and respect. We also bow at the beginning and end of every class, towards the instructor and the shomen wall. If you are in need of an attitude adjustment, be careful. You may get one in the form of burpees or push-ups. All that each and every sensei asks is for everyone to be respectful. Mind that your fellow students are there to learn and that your sensei is there to share their knowledge with you. Listen to the advice being offered. Be grateful for their time and wisdom. Even though martial arts is often perceived as an individual sport, focusing on personal bests, specific progress and enhancement, there is also an element of martial arts that focuses on teamwork. The dojo works as a community, a family. We practice together, grow together and encourage one another. The spirit of competition is great and healthy, but the competition isn’t about bringing the other person down. Competition within the dojo is about being YOUR BEST, rising above challenges and overcoming obstacles. In order to be successful, it is important to work hard and listen to others. Be receptive to the advice of instructors and look to examples set by those of higher belt rankings. And, respect the idealism and basic training of the white belt too. We all started there, with the same foundation and hope of one day becoming a black belt.